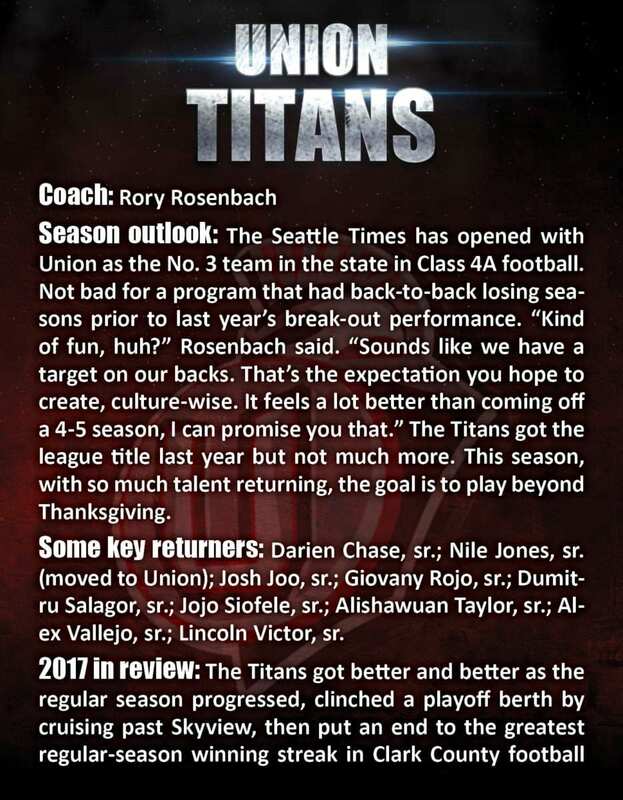 The dream for the Union Titans is to make it to the final day of the season, Dec. 1, 2018 at the Tacoma Dome for the Class 4A state championship. Fortunately, they have The Dream to help them work toward that goal. Even if Alishawuan Taylor did not excel in football, he would still have one of the coolest names in Clark County. And no doubt the best nickname. Even better for the Titans, he can play this game. Both sides of the ball, in fact. He proved it last season, as he brought his 6-foot, 3-inch, 230-pound frame from the Midwest to the Northwest, earning starting roles on offense and defense. Those physical stats are old, too. This August, he measured 6-4, 245. At wide receiver, he is not the story for the Titans. That would be Darien Chase, one of the top recruits in the state. Taylor, though, knows defense is his game, lining up as a linebacker. That is what he wants to do in college. He has a couple offers but is hoping to showcase his skills one more season to increase his options. “My senior year has to be my best year,” Taylor said. Not to disregard the future plans for the Union program but 2018 does, indeed, look to be the window of opportunity. With Chase back and Offensive Player of the Year Lincoln Victor back at quarterback, and with running back Jojo Siofele truly healthy, this team is loaded. 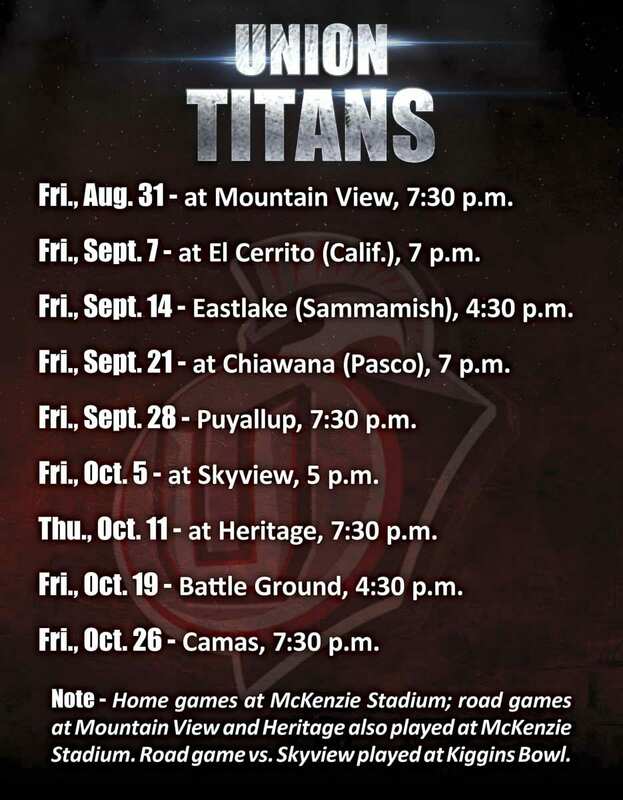 In all, the Titans have nine all-leaguers from 2017, a season that saw the Titans knock off Camas. That was just the beginning, they hope. 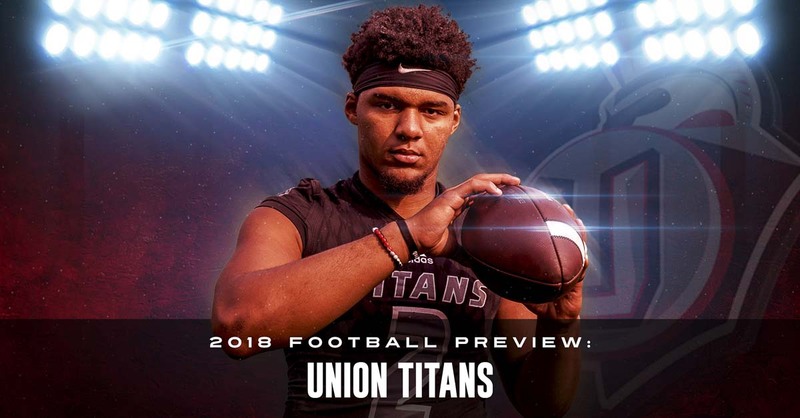 Taylor and all the Titans are all-in with having their best year starting right now. “We’re doing all we can to get that dream everyone wants, and that’s a state championship,” Taylor said. There is that word again, dream. Which leads us back to The Dream. Olajuwon became Alishawuan, but they share the same nickname. Interestingly enough, in football, the Titans were coming off of back-to-back losing seasons. “They had fallen off a little bit, but they wanted to change everything around,” Taylor said. He wanted to be part of that. Then he became part of it. 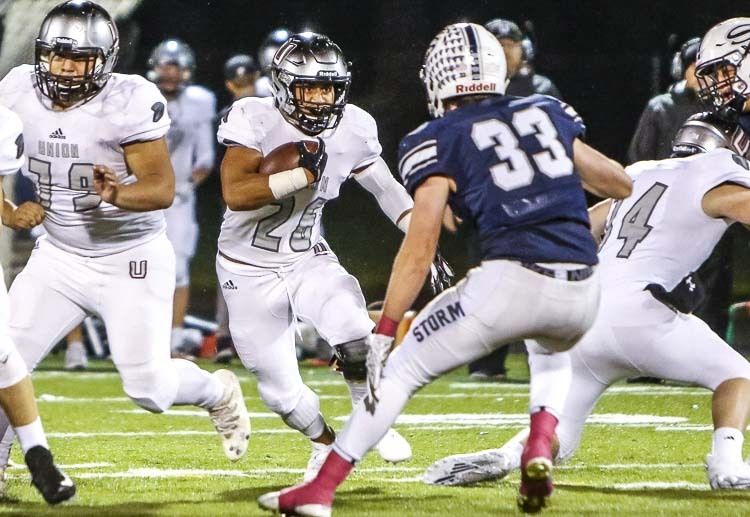 Union crushed Skyview in a Week 8 matchup to clinch a playoff spot, then rallied in the second half to end Camas’ 50-game regular-season win streak. “We prepared and worked our butts off just for that one matchup,” Taylor said. 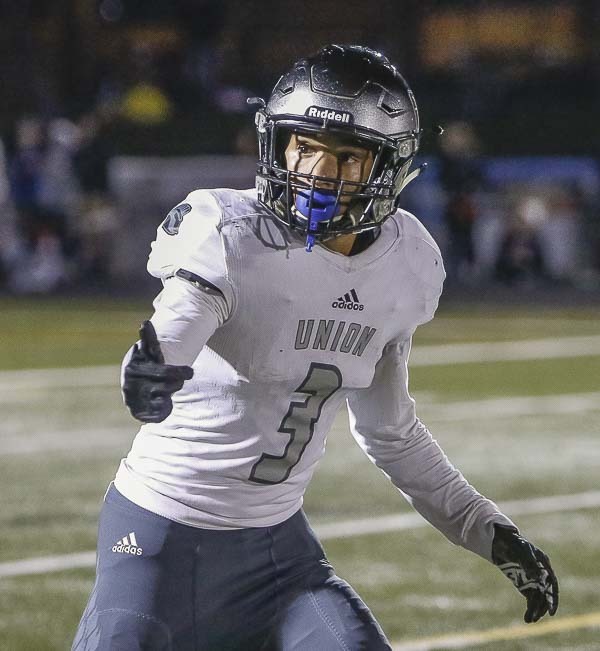 There was a lot of talk going into the season that Union had the skill but maybe not the toughness to match up with Camas. The Titans had to prove it. Taylor knows exactly what that is like. He, too, came to Union looking like an athlete. Then he had to prove it. “I had to show everyone here I could play. ‘Oh, he’s just big. He probably can’t do this, or can’t do that.’ I wanted to show people I could do it,” Taylor said. He ended up starting on offense and defense. 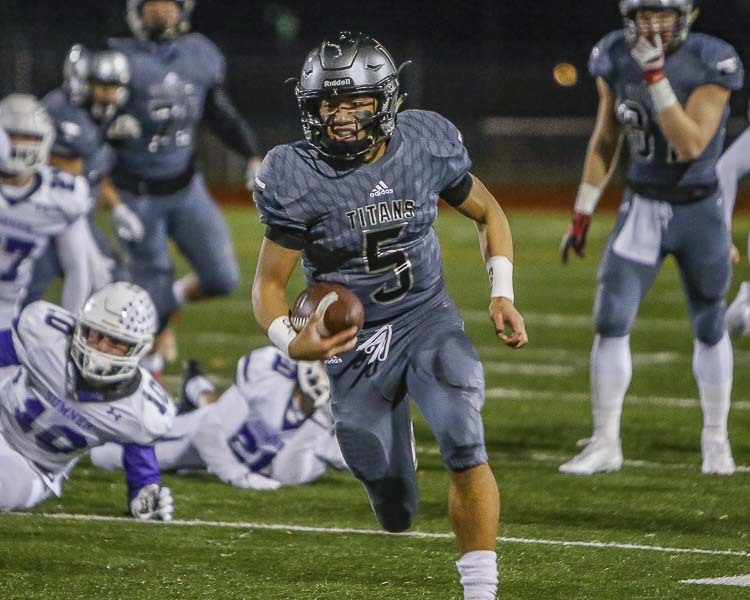 Taylor was voted by the coaches to the second-team, all-league squad, competing on a defense that limited its league opponents to a total of seven touchdowns in five games. This year, he said, he wants to make all-league on both sides of the ball. On offense, he is so much bigger and stronger that cornerbacks, and he is faster than most linebackers. On defense, he can make plays even when he is blocked, using his size to knock down passes or force the QB into a bad throw. He also has the look of a player. “We want him getting off the bus first,” Rosenbach said with a laugh. Taylor’s frame, his speed, his toughness have attracted some interest from college coaches. He does have two offers, while other coaches have said they want to see one more season of progress from Alishawuan Taylor.